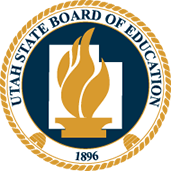 For Helpful Documents, Videos, and User Guides, please visit this section to view and download the most recent and relevant information available that is provided to help maximize your user experience while using Utah Compose in your Schools. Rubrics are provided for the Six Characteristics of Writing, Constructed Response, Text Evidence, and Content. Here are additional tools and resources to assist with your Utah Compose work, including information regarding citations and plagiarism checkers. External links from Utah Compose are being provided as a convenience and for informational purposes only; they do not constitute an endorsement by Measurement Incorporated of their products or services. Measurement Incorporated is also not responsible for the content or technical aspects of third-party sites or that of subsequent links. Please contact external sites for answers to questions regarding their content. Use these information sheets to learn more about Utah Compose and some of the best ways it can be utilized in the classroom. What Makes Utah Compose a Formative Assessment Tool? Why Arent My Students Scoring 5s in Utah Compose?